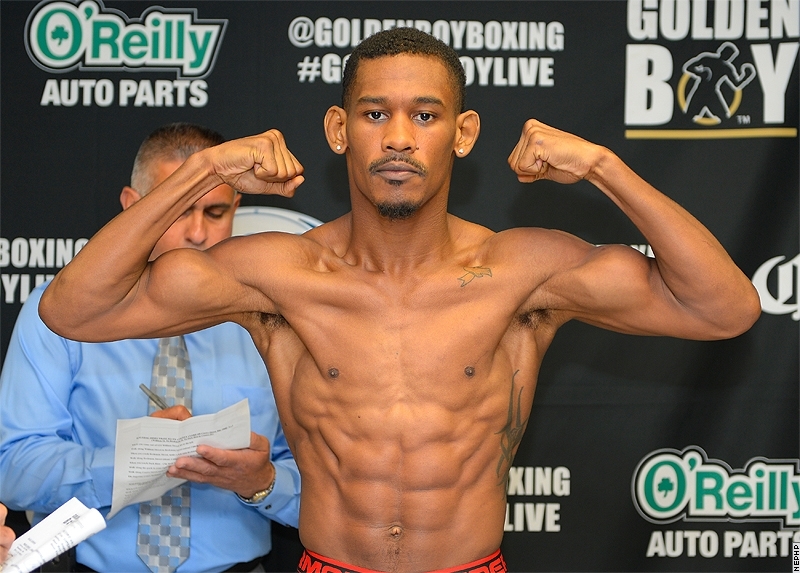 This Saturday, the American Daniel Jacobs has the chance to become WBA middleweight world champion. It is a dream he that has since he started in boxing, but that may have become meaningful after becoming a cancer survivor. Jacobs is one of those who have won the battle against the disease, them. For those who have had a relative or a friend with cancer, Jacobs is a hero. The Boxer has told his story on several occasions, in different interviews he has said that he could “escape death” despite the advanced of his illness when it was diagnosed in May 2011. Jacobs says that it all started when he felt numbness in his legs, and needed support to walk and had an extreme tiredness despite his physical conditions. He thought and he did everything, from taking pain medication, as he believed it was a sciatic nerve problem, he took a break to get better. However, the problem was a tumor in the spine that reached the size of a fist. 24-year-old Jacobs was diagnosed osteosarcoma. Perhaps it was his youth that made him refuse to think on death as an alternative. Dying was not his choice and therefore he fought against cancer. Jacobs won his personal fight and besides he returned to boxing in 2012, after a year away from it. As an amateur he reached a record of 137-7, now as professional he is 27-1, 24 KO´s. He is back among the best, Jacobs is the third in the ranking in the WBA middleweight 160 lbs division. His opponent this Saturday in Brooklyn is the Australian Jarrod Fletcher, number 2 contender in the same division and with 10 fights less than him. In my opinion, regardless the result of the fight, Jacobs is a champion, maybe more than those undefeated boxers, or those boxers’ whose records are unquestionable. He defeated the most feared opponent, and returned to continue with his life. Jacobs is currently a living message for many. He is an example of struggle but beyond that, he is the proof that cancer can be defeated, and everybody likes, and admires those triumphs. I have no idea if he is the image of any campaign against cancer, I do not know if boxing fans knew his story but what I do know is that Jacobs has already won the most important fight of his life and lived to tell the story.